Apartment with magnificent location a few steps from the sandy beach, in the quiet residential urbanization Parque de Mont-roig, 1 km from the center of Miami Playa, in an ideal area for your family holidays by the sea. Las Marinas B has an area of 70 m², with 2 large bedrooms and living room with sofa bed, can accommodate 6 people. 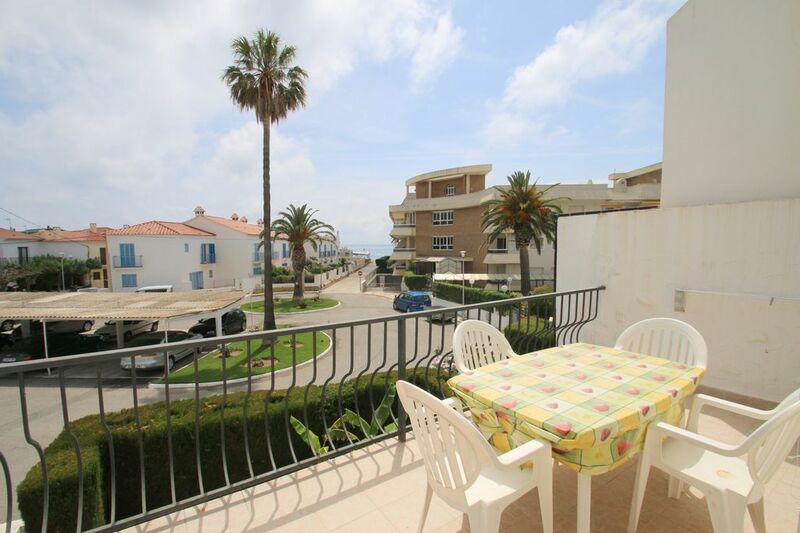 It has a large furnished terrace with pleasant sea views, barbecue, iron, internet access (consult supplements) and satellite TV (Languages: Spanish, English, German, French). The independent kitchen is equipped with refrigerator, microwave, washing machine, crockery / cutlery, kitchen utensils and coffee machine. Vielleicht eine Schranke aufstellen lassen, damit man besser parken kann. Ich denke sobald das Neugebiet, von der andere Seite, noch grösser gebaut wird, bekommen sie noch mehr Probleme mit dem parken.